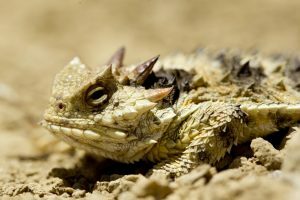 Irvine Ranch Conservancy invites the community to discover native wildlife on the Irvine Ranch Natural Landmarks by registering for a public program on the open spaces. Nature lovers can also catch a glimpse of fauna on the lands through a virtual “Wildlife Takeover” on Wednesday, November 1 beginning at 6 a.m. The first annual virtual Wildlife Takeover will include 24 hours of wildlife and feature a photo or video of a different animal posted every hour to the Irvine Ranch Natural Landmarks’ Facebook, Instagram, and Twitter pages. Virtual takeover participants can look forward to posts that will include a picture or video of a native animal, information on the species, and links to programs on the Landmarks where visitors have a chance to see wildlife firsthand in their natural habitat. 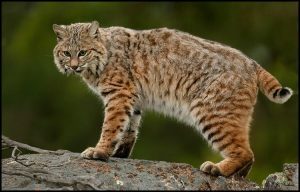 Join the virtual takeover by “liking” the Landmarks’ Facebook page (Facebook.com/irlandmarks) following them on Twitter (@IRLandmarks) and on Instagram (@OCMountainstoSea), and find birds like the California Gnatcatcher, arachnids like tarantulas, and mammals like coyotes and bobcats to enjoy a wide variety of wildlife in their natural habitat. Irvine Ranch Conservancy works in partnership with OC Parks, City of Irvine, and the City of Newport Beach to offer a wide selection of activities where nature lovers can connect with the land and catch a glimpse of wildlife that calls the Landmarks home. Whether visitors choose to register for a volunteer-led activity or explore the open spaces during self-guided access programs, outdoor enthusiasts have a chance to spot wildlife in their natural environment throughout the year. Click the programs below to register for a free program and experience the great outdoors. Wilderness Access Day: Black Star Canyon on Saturday, November 4 from 8 a.m. – 2 p.m. welcomes hikers, bikers, and equestrians ages 12 and up to discover the plant and wildlife in Black Star Canyon through self-guided access. It’s Harvest Time! Collect Wildflower Seeds at the Native Seed Farm on Wednesday, November 8 from 8:30 a.m. – 12 p.m. encourages visitors to help grow wildlife habitat and provide food for native animals on the Landmarks by harvesting seeds at the Native Seed Farm in Irvine. Thursday Morning Trek: Bommer Canyon on Thursday, November 9 from 8 – 11:30 a.m. invites visitors ages 12 and up can hike a seven-mile loop through Bommer Canyon in Irvine and spot a variety of different animals. Naturalist Notebook Series: Tracking on the Landmarks on Tuesday, November 14 from 6 – 7:30 p.m. invites the community to learn about the wildlife tracks found on the Irvine Ranch Natural Landmarks from Irvine Ranch Conservancy docent, Don Millar. Thursday Morning Trek- Limestone Canyon and Dripping Springs on Thursday, November 16 from 8 – 11:30 a.m. will take nature lovers through Limestone Canyon to Dripping Springs. This seven-mile hike is great for participants ages 12 and up looking to explore East Loma and the Dripping Springs. Circus Vargas Unveils Original New Production- Steam Cirque! Returning to San Pedro! 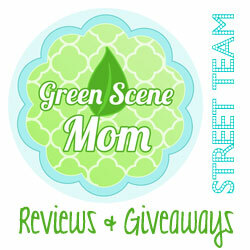 Family 4-Pack Giveaway Opportunity! Circus Vargas embarks on a brand new epic adventure under the big top! Bringing their innovative new production to Arcadia from November 2nd – 13th and coming to San Pedro November 16th – 20th. Monday, Nov 20 – 6:30pm. Circus Vargas will be in the parking lot outside USS Iowa, and when you bring your Circus Vargas ticket stub to the museum you will get discounted entrance into the museum! Now, how cool is that?! It is a fun museum to visit! I am excited that they are returning to San Pedro and we have teamed up for a Family 4-Pack for the San Pedro show! The winner can select one of the dates for San Pedro! To enter leave a comment below telling us why you would like to go! Deadline to enter is November 4th, 2017 at noon PST. 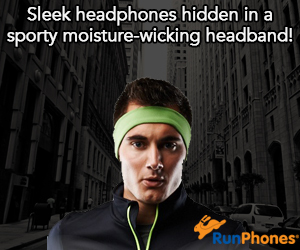 Self Disclosure: I received free tickets to facilitate this post and giveaway. Images and information were also provided. 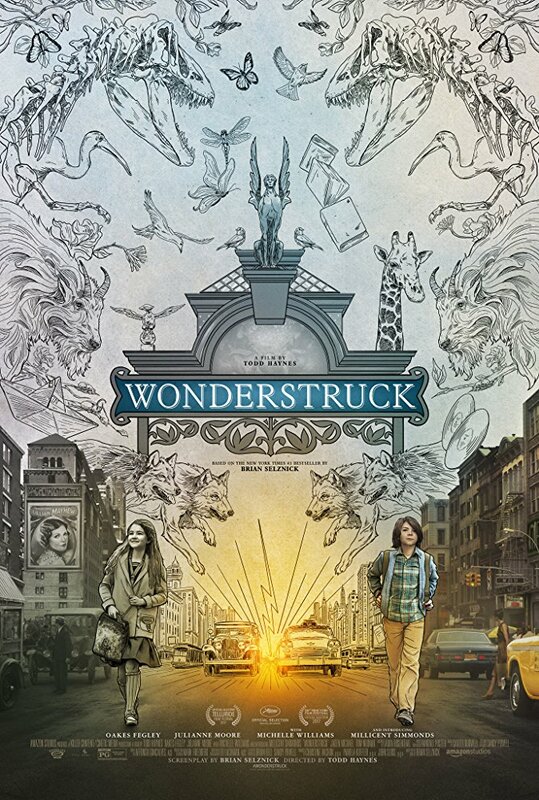 Wonderstruck is a story about a boy named Ben who gets in an accident in 1977 which causes him to become deaf and inspires him to run away in search of his father. This story intertwines with another, set in 1927, about Rose, a young deaf girl who runs away looking for a mysterious woman whose scrapbook she has. As the story progresses, we find out more about how their stories really are alike. Mardy is Pet of the Week! Mardy looks like a lawn statue in this photo! This little 2-year-old Chi/pug mix is all personality, and as still as he’s standing, it all comes through here! He’s neutered, ready to go and absolutely adorable! 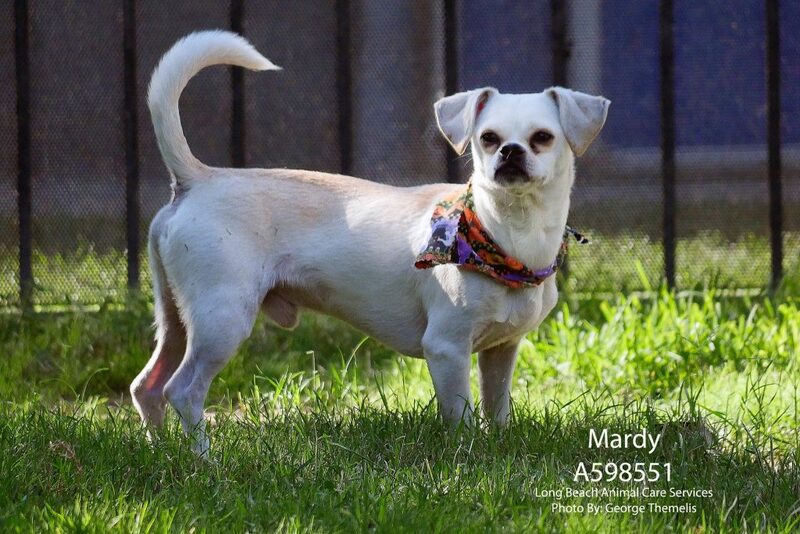 Meet Mardy on the shelter side of the Companion Animal Village at 7700 East Spring St., (562) 570-PETS. Ask for ID#A598551. Complete Salon manicure delivers up to 64% stronger nails and up to 10 days of chip-resistant wear. I love how this one really doesn’t chip easily! Looking to do some creative Nail Art? Shown below in Pitch Black . Self Disclosure: I received free samples to facilitate this beauty post. Images and info also provided. Kiehl’s is proud to announce that its Apothecary Preparations personalized, in-store-only service, will be fully available in all Kiehl’s retail stores, as of October 2017. Previously only available in select stores nationwide, Apothecary Preparations is truly personalized skincare featuring potent concentrates that address an individual’s unique skin concerns. This innovation is amongst the first in the skincare industry to bring bespoke skincare to the masses. This industry achievement is comprised of Kiehl’s Skin Strengthening Concentrate, plus two, individually selected Targeted Complexes. These pharmaceutical meets herbal concentrates feature a blend of advanced ingredients and are specifically selected for each customer’s skin. Through an elevated consultation and diagnosis, customers are able to craft a personalized formula based on their two most significant skin concerns. Option include: redness, wrinkles, rough texture, large pores and dullness. Once the Targeted Complexes are selected and the consultation is complete, the Apothecary Preparation’s components are enclosed in a personalized box for the customer, who then mixes them at home prior to first application. The result is a highly potent, tailor-made skincare treatment. Step 1: Diagnosis With the use of a dermatologist-inspired Skin Atlas, customers are guided by the KCR to assess and rank the severity of their skin concerns. The result of this consultation informs the KCR’s selection of the two essential Targeted Complexes that will comprise the customer’s unique formula. Squalane: A signature Kiehl’s ingredient, Squalane is a botanical lipid derived from the Olive fruit that is highly compatible with the naturals oils present in skin. Within the formula, the Squalane present at a 35% level is approximately 13 times higher than its natural level found in sebum. This ingredient is used for its protecting capacity on skin’s barrier as well as for its safety and stability profile. Squalane has emollient characteristics as well, coating the surface of the skin and helping it maintain moisture,,. It also has an essential ability to soften and smooth skin without irritation and is free of greasy residues. Skin Lipid Complex: Also included in Kiehl’s Skin-Strengthening Concentrate is the complementary Skin Lipid Complex, containing a blend of botanical oils (including apricot, coriander, black currant, and echium oils) that are rich in unsaturated fatty acids to offer essential emolliency, skin replenishment and hydration. This highly efficacious concentrate ensures that skin is stronger and more resistant to damage. Each Kiehl’s Targeted Complex is formulated to address a customer’s specific skin concern. Key ingredients in the Targeted Complexes have been selected for their efficacy and their lipo-soluble nature. They are highly potent and bring powerful efficacy to the finished product. Important Note: The Kiehl’s Targeted Complexes are so potent, they should not be individually applied directly to skin. Dilution in the Skin Strengthening Concentrate assures both optimal efficacy and skin tolerance. Vitamin A (Retinol): This well-known “gold standard” anti-aging ingredient is known to increase skin density. Kiehl’s Wrinkle Reducing Complex containing retinol, which has been clinically tested to reduce the appearance of fine lines and wrinkles. Pro-retinol (Vitamin A Palmitate): Healthy skin naturally stores Vitamin A for later use in the form of Pro-Retinol., In fact, Retinyl Palmitate is the major form of Vitamin A found in the epidermis. When needed, Pro-Retinol is converted into Retinol to help fight skin aging and diminish the appearance of wrinkles. Fine lines: This formula achieved statistically significant improvement of fine lines at 4 weeks. This improvement continued, as the reduction in fine lines doubled between weeks 4 and 8. Wrinkles: Between weeks 2 and 4, the clinical improvement in the appearance of wrinkles tripled, and this improvement quadrupled between weeks 4 and 8. Vitamin F: This unsaturated fatty acid blend including glyceryl oleate, glyceryl linoleate and glyceryl linolenate helps skin maintain barrier protection and proper skin hydration, resulting in the improvement of skin texture and smoothness. This formula achieved statistically significant results in the overall appearance of skin quality at week 2. This improvement continued, as the overall appearance of skin quality nearly tripled between weeks 2 and 4. Sunflower Seed Oil Extract: Obtained by molecular distillation, a delicate extraction and purification process, Kiehl’s sunflower seed oil is extremely rich in essential fatty acids, such as linoleic acid. This oil also contains phytosterols and tocopherols. An in-vivo study has shown that this ingredient helps reduce visible skin redness and dryness. Vitamin E (Alpha Tocopherol): Extracted from cultivated crops including soybean and sunflower seeds, Vitamin E has been shown to prevent the formation of pro-redness molecules through its antioxidant properties. This formula achieved statistically significant results in the reduction of skin redness at 2 weeks. This improvement continued, as the reduction in appearance of skin redness more than tripled between weeks 2 and 4. Salicylic Acid: A prominent, well-known skincare ingredient, salicylic acid is a beta-hydroxy acid that functions as a mild skin exfoliator, removing excess sebum and dead skin cells. Formulas containing this ingredient have been shown to reduce the appearance of pores. This formula achieved statistically significant results in the reduction of pore size appearance and shine at 4 weeks. Oil-Soluble Vitamin C Ester was shown in an in-vivo study to reduce UV-induced pigmentation. Its antioxidant properties have also been demonstrated to help the skin defend itself against environmental attacks that can lead to dullness and uneven skin tone. Scotch Pine Extract: This ingredient is known to promote skin brightness. This formula achieved statistically significant results in skin brightness, radiance, luminosity and even tone at 4 weeks. Kiehl’s was founded in 1851 as an apothecary in New York City’s East Village, dispensing prescription medicine and customized herbal and natural remedies. Relying on their extensive pharmaceutical background, Kiehl’s founding family hand-made personalized skin remedies which were available in the Kiehl’s Pharmacy right up until the 1980’s. Today, this heritage, combined with Kiehl’s commitment to the highest level of customer service, has culminated in Apothecary Preparations. A true one of a kind innovation, the collection further elevates Kiehl’s tradition of giving customers a deeper understanding of their unique skin concerns while delivering a completely personalized facial concentrate to mix and activate themselves. Self Disclosure: No compensation was received. Information and images were provided by Kiehl’s. GOTRAX HALLOWEEN: 4 Last-Minute Movie-Inspired DIY Costumes on Hoverboards! Stay Tuned! We also will be featuring the GOTRAX HoverBoard this upcoming holiday season! GOTRAX™, the new Denver-based brand of hoverboards and electric rideables on a mission to boost imaginations and the possibility for personal transportation, has released a list of last-minute DIY Halloween costumes that are sure to be out of this world when paired with its line of HOVERFLY hoverboards. The children’s costume ideas, inspired by some of cinema’s most classic characters past and present, are designed to be affordable and easy to put together for any family. The addition of a hoverboard like the GOTRAX HOVERFLY or HOVERFLY PLUS will enhance the impact and “wow” factor by bringing each character to life. 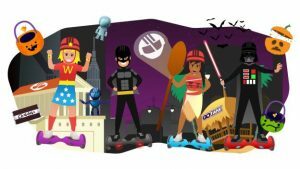 Available now at GOTRAX.com/Halloween, GOTRAX™ halloween DIYs include costumes inspired by Batman, Moana, Darth Vader and Wonder Woman. The costume ideas are laid out in simple, easy-to-follow fashion that includes step-by-step how-tos, printable shopping lists, character quizzes, example images and short, fun videos for inspiration. Self Disclosure: No compensation was received. Information and image provided and I have received a GOTRAX Hoverboard to feature this upcoming holiday season. Shooby Dooby Down to Ruby’s for the Perfect After-School Snack Students and Teachers Receive 50% During Study Break Happy Hour! 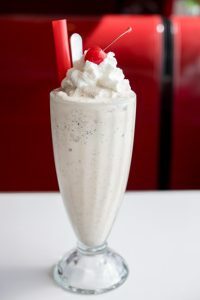 Shooby Dooby down to Ruby’s Study Break Happy Hour Monday through Friday from 2-5 p.m. Ruby’s Diner is happy to provide students of all ages and teachers with a special offer. Present a valid student or teacher ID to receive half off any appetizer and half off any shake. For those over 21 years of age, the special half price offer applies to the beer and wine list as well. Ruby’s Study Break Happy Hour is happening at all participating locations. Monday – Friday, 2-5 p.m.